Baby Phantom Limo hire in Birmingham, Solihull, Sutton Coldfield, Wolverhampton ! This New Two Tone Baby Phantom limo has been custom built for A2Z Limos. 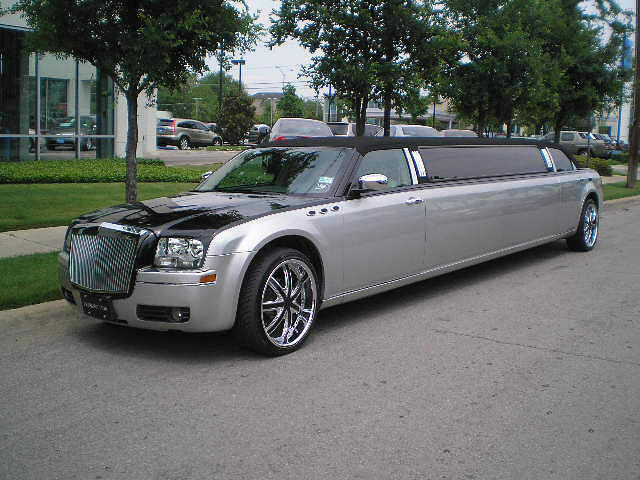 This Limo features 3 LCD T.Vs, 2 bar areas, couch style seating, disco lights, strobe lights, lazers and surround sound system with DVD and ipod connection. To Hire this limo call A2Z Limos on 0121 643 5556. This is a completly unique limo with disco interior. This rolling night club is ultimate way to travel for your prom parties, night outs or any special occasion, where you would like to make an entrance in style. This limo is available to hire in Birmingham and Midlands area Now.